Over the past three days, you and your executive team colleagues have been in an off-site meeting discussing strategic plan for next year. 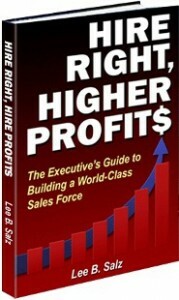 As those plans have been finalized, it is clear that the sales compensation plan needs to change. Given the direction that the company is going, how salespeople are rewarded for sales needs to dramatically change – to be in alignment with the corporate strategy. The sales compensation plan has remained the same for the last four years and changing it will come as a shock to the sales team. Salespeople who continue to sell next year the way they do currently will make half the income on the new compensation plan. If they sell aligned with the new corporate strategy, the salespeople have the potential to make the same money or more than they do today. As the Vice President of Sales, you fully support the company’s direction and recognize the need for this compensation change. However, you are very concerned about communicating the plan and the reaction from the sales team. How will you introduce the new sales compensation plan to the team without causing panic – knowing that salespeople don’t usually respond well to change?